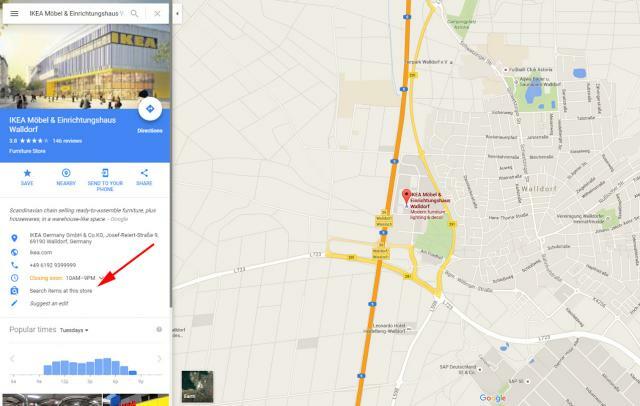 Nicolai Helling posted on Google+ a new shopping and maps feature that Google seems to be testing that allows searches to click on a button to search the local stores inventory directly from the map results. 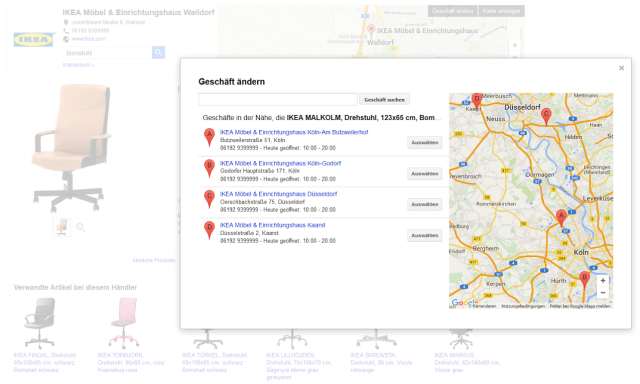 The button is found in two places (1) Google web search results knowledge panel and (2) Google Maps result listing. 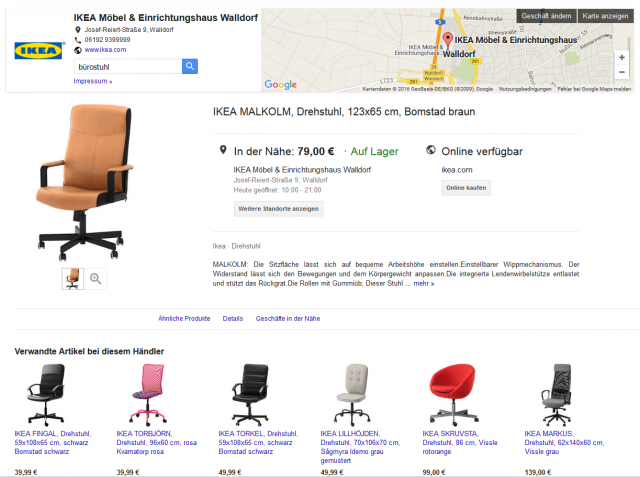 The button reads "Search items at this store." 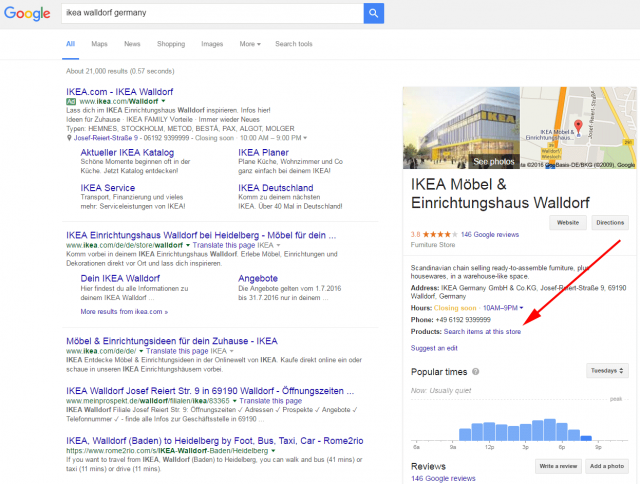 Nicolai Helling said "IKEA seems to be piloting a new combination of Google My Business and Google Shopping lists in Germany."